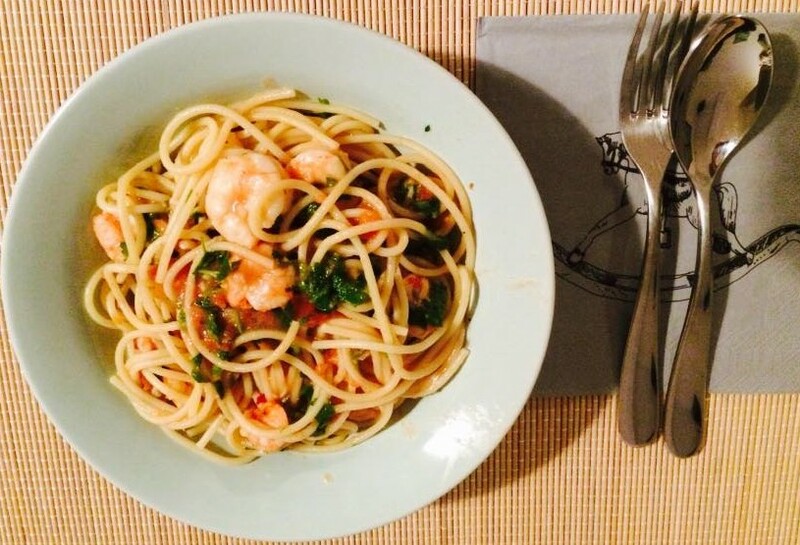 I discovered a box of frozen king prawns in the freezer so we decided to have an italian style dinner- Spaghetti with prawns and tomatoes(spaghetti con gamberetti e pomodorini). I must tell you I didn’t expect it to be so delicious and hot- I used one teeny-tiny red chilli from grandma’s garden and it was burning like the FLAMES OF HELL. 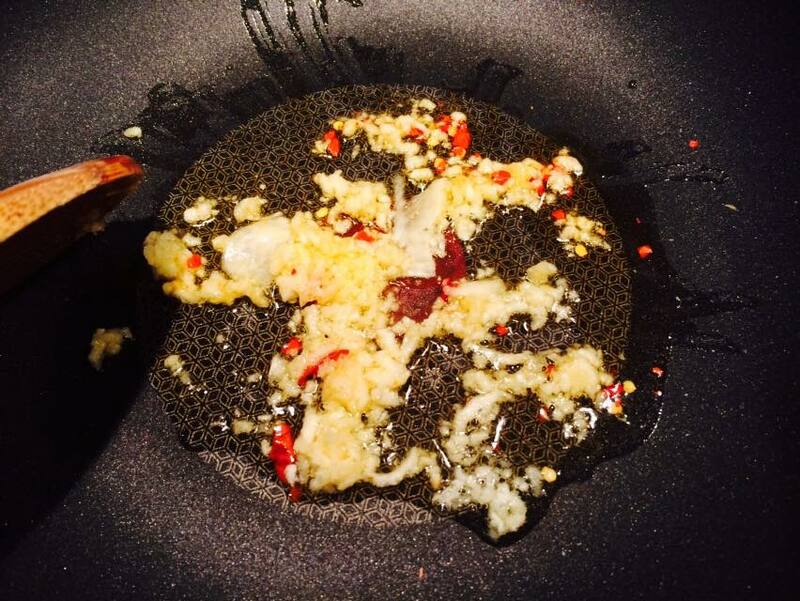 Cook the pasta in a large pan of salted boiling water according to the packet instructions. When the pasta is cooked, drain it in a colander and save 1/2 glass cooking water. In another large frying pan heat the virgin olive and the butter, toss in the garlic and chilli for about 1 minute at medium heat and add the wine. 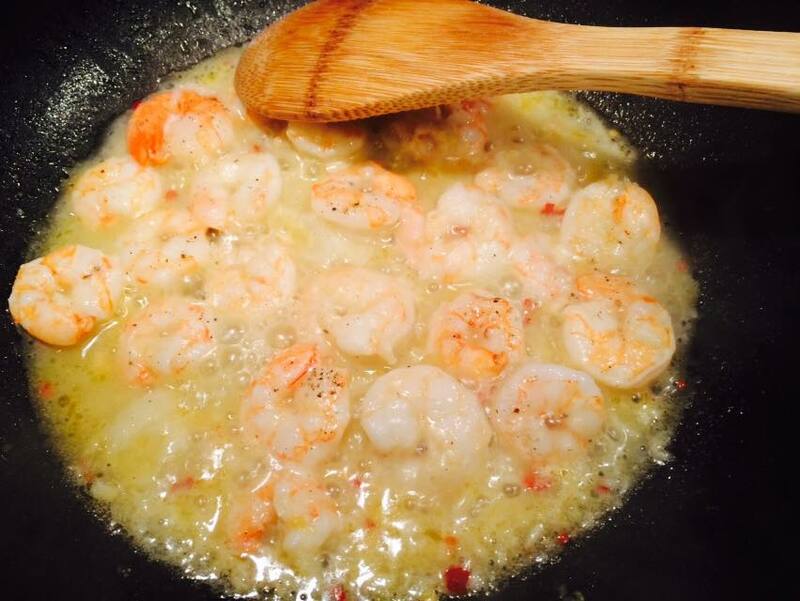 Add the prawns and sauté them for 2-3 minutes until they change color. Add the tomatoes and simmer for another 2 minutes. Season with salt and pepper. 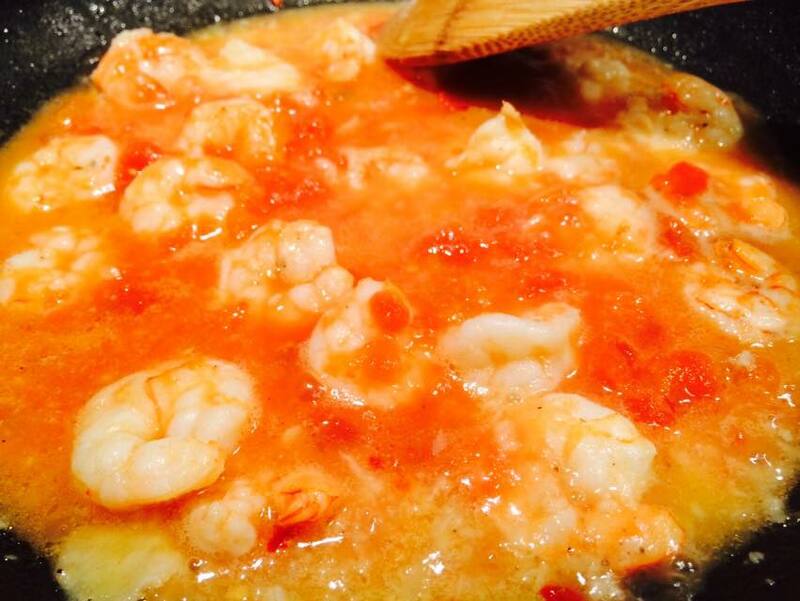 DON’T OVERCOOK THE PASTA NOR THE PRAWNS! 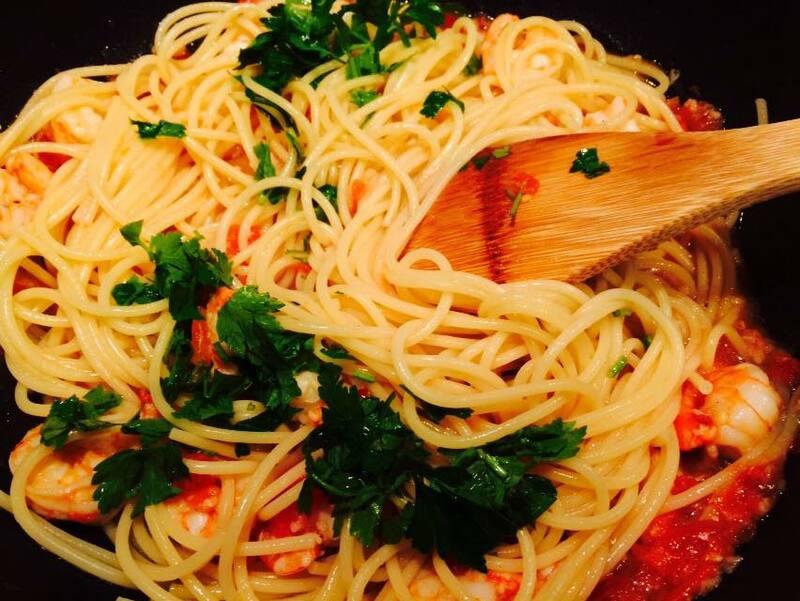 Mix the spaghetti with the resulted sauce, lemon juice, parsley and the reserved cooking water. When the pasta is cooked, drain it in a colander and save 1/2 glass cooking water. 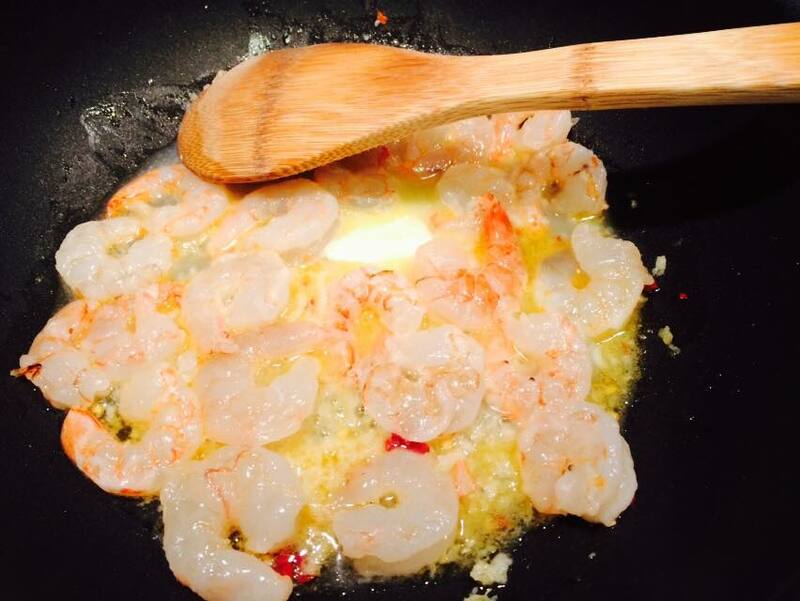 Add the prawns and sauté them for 2-3 minutes until they change color. Add the tomatoes and simmer for another 2 minutes. 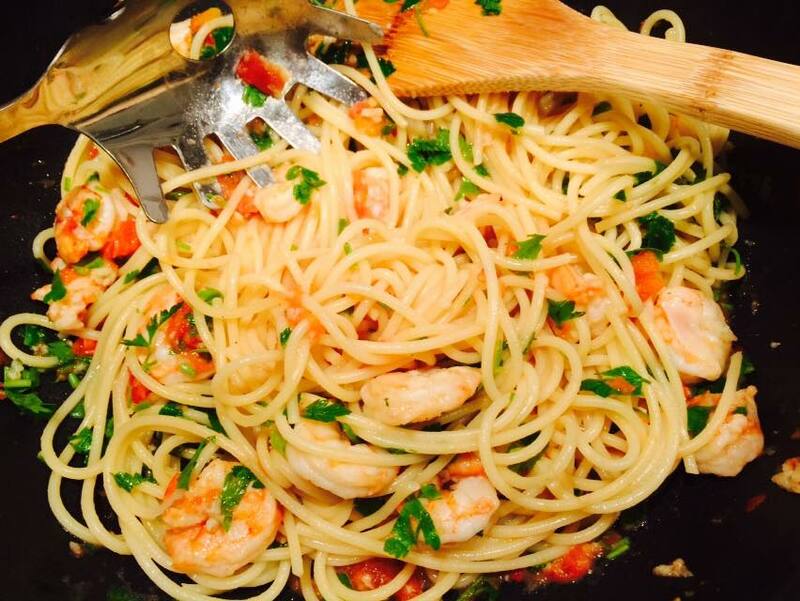 DON'T OVERCOOK THE PASTA NOR THE PRAWNS!